Plans for the construction of the largest-ever superyacht could be out of reach of even the world’s richest individuals. South Korean yacht designer Chulhun Park has designed the 229-metre-long Valkyrie, which would eclipse the size of the current record holder, Lursen’s Azzam. 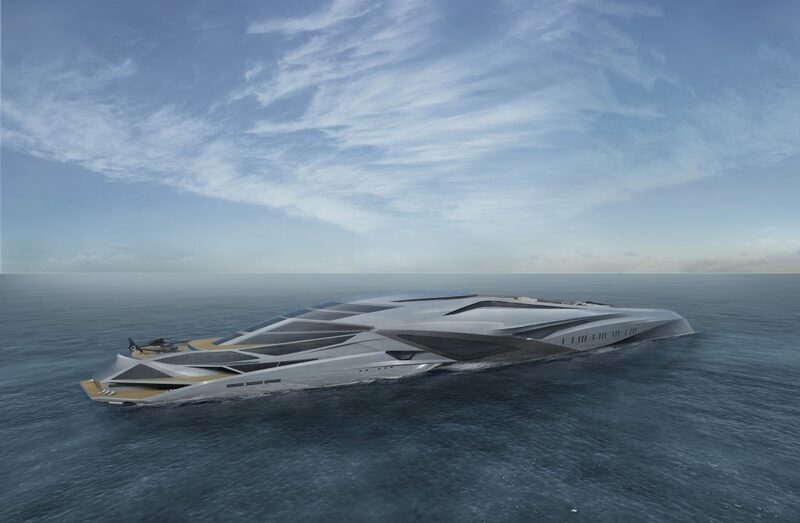 The yacht would act as an entertainment hub for the public and its design includes a casino, theatre, shops, restaurants and exhibition halls. Valkyrie would also accommodate 52 guests in 26 cabins, alongside 92 crew members in 46 cabins — although many more could visit as day guests. The hull of the vessel is uniquely designed by Palmer Johnson using trimaran technology rather than the usual mono hull. The design lessens drag while cruising at high speeds and provides greater stability. Park designed Valkyrie in 2012 as part of his thesis project which was supported by Palmer Johnson in 2012. Since then he spent over five years with Palmer Johnson in Monaco and is now chief designer at Latitude Yachts in Latvia. One of the most important elements for Park in his design was the feeling of connection with the sea and nature, which is why there are huge open spaces on deck and wide windows all around. “Most superyacht owners are trying to fill their yacht interior with very luxurious and expensive things. “However, there is nothing more beautiful and luxurious than nature. How speechless you can feel when you see a sunset or sunrise?